It can be interesting and rather frightening at times what one may dig up in the garden. 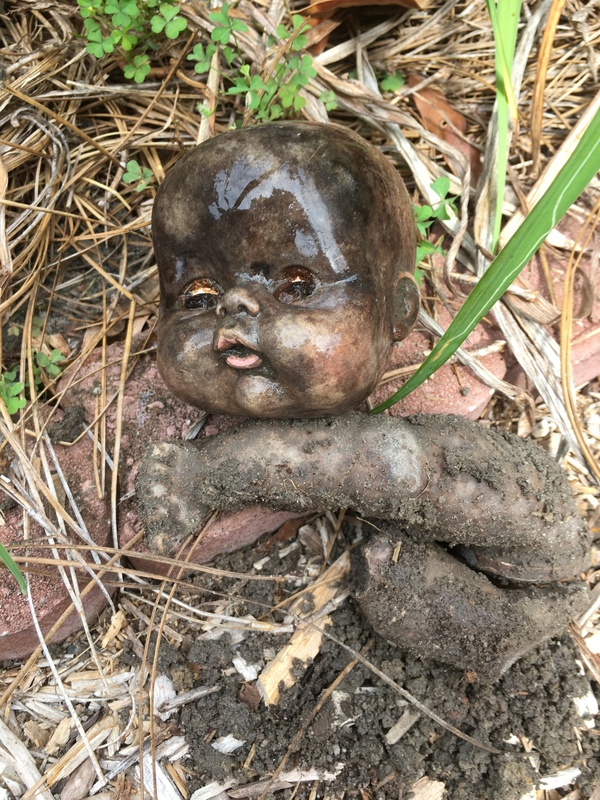 I came across these doll body parts while digging a hole for a clump of iris I was relocating. I also founds bits of a filtration system for a pool that once graced the back of the house. Why would people bury these things? Why not put it in the bin? I don’t understand. I wonder what happened to the doll that made them bury it? I have a theory. The deranged brothers that once live here stole their sisters doll and buried it to exact some type of cruelty upon her. I am certain she must have had her revenge at some point. Perhaps I’ll come across the remains one day. I got to thinking that perhaps I should attempt to locate the little girl whose doll this once belonged to. I know the name of the family that once lived here at one time with 2 boys and 1 girl. Apparently, the girl was lovely and ended up with a modeling career in New York City. I could package the body parts and ship it to her in an unmarked box… with some dirt from the garden. Imagine her horror! Okay, too early for Halloween. Where was I? Oh yes, recently I decided to relocate a clump of banana trees (musa basjoo) from a side of the house to the bed directly in front of the cottage. This is all part of the redesign of the former kitchen garden. It was a chore to do this because I managed to dig up quite a large root ball, which was good for the banana trees, but not for my back! The ground on the sides of the house stay fairly wet so I managed to dig up a heavy, compact ball of wet dirt… with about 5 small banana trees! The clump seems to have settled in nicely with little damage. I am going to build a cage around this clump and the other to help it survive the winter. These are hearty banana trees and they do not produce edible fruit. They do, however, give you a nice show of tropical foliage. The cage will be filled with mulch to help insulate the trunks of the trees. If it is successful the new growth in the spring will begin growing from the top of the trunk and by the end of the season will have grown much taller than they are currently. 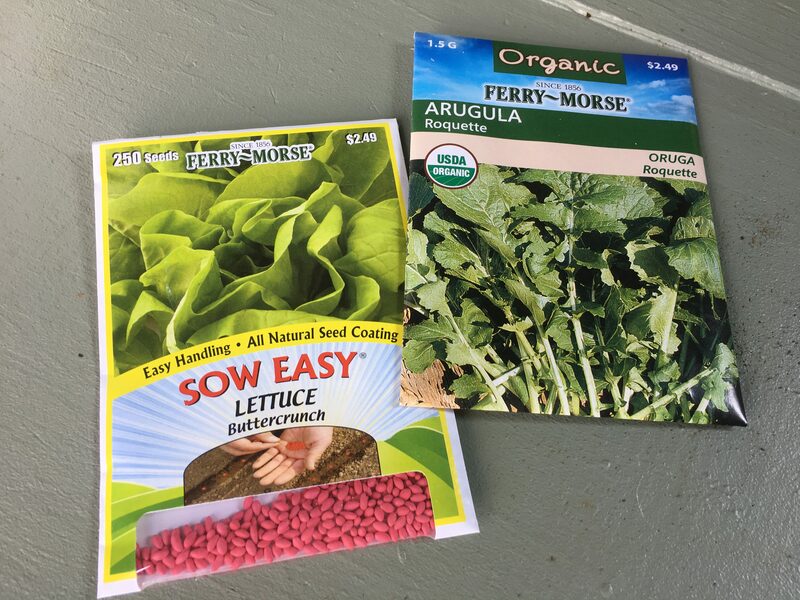 Now that the season is nearing its end I thought it would be nice to grow some lettuce. With the VegTrug and its cold frame apparatus I can extend the growing season when it is too cool in the ground. 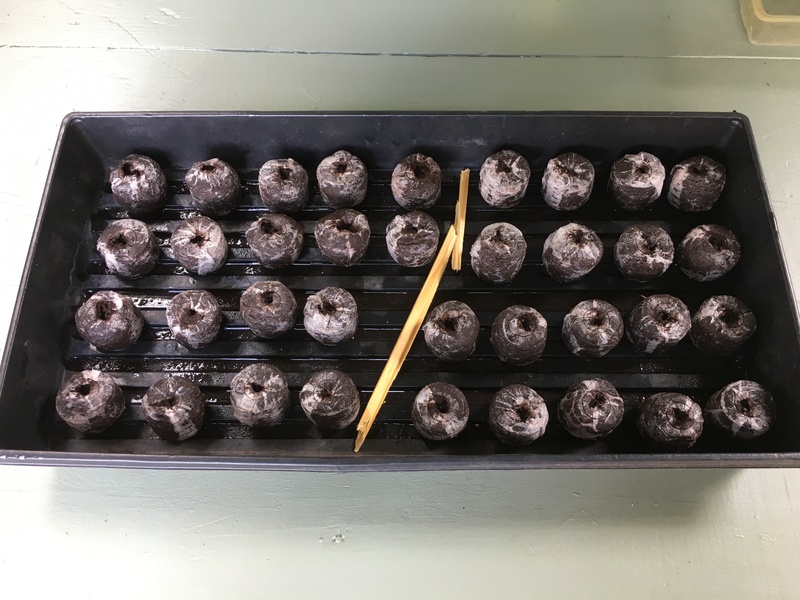 I do like these Jiffy Pellets for germinating seeds. I find them to be convenient.